Birding Focus: We'll look for summer breeding birds. 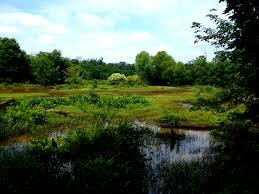 The site consists of open water, wetlands, and woodlands. Herons and egrets are often seen here. The site is also very good for woodpeckers. The trail is either paved or dirt and mostly gentle terrain. Waterproof shoes or boots are recommended if it has recently rained. Insect repellent is recommended. There are no restrooms so be sure to prepare ahead of time. Directions and Parking: Google these coordinates for map or program your GPS: 33.68306, -84.34740. From I-20 take Exit 60 and go south on Moreland Ave. Drive 4.3 miles to intersection with S. River Industrial Blvd. SE and take a left turn. Take a slight right into the park, marked by a DeKalb County parks sign. The parking lot will be all the way at the end of this road. Meet in the gravel parking loop at the end of this driveway. Do not bring any valuables that you do not plan to carry with you. Questions: For Questions about this event, please contact Joy Carter with Atlanta Audubon Society at 404.822.0030 or joycarter52@gmail.com.